As the A Blade of Grass Fellow-SPArt Fellows for Los Angeles, theater artists & activists John Malpede and Henriëtte Brouwers of performance group Los Angeles Poverty Department (LAPD) and designer Rosten Woo will create How to House 7,000 People in Skid Row and How to Fund It. The project aims to realize “Skid Row Now & 2040,” a community-generated alternative development plan designed for and by the Skid Row neighborhood of Los Angeles to resist proposed upscale development and displacement by the LA Department of City Planning (DCP). 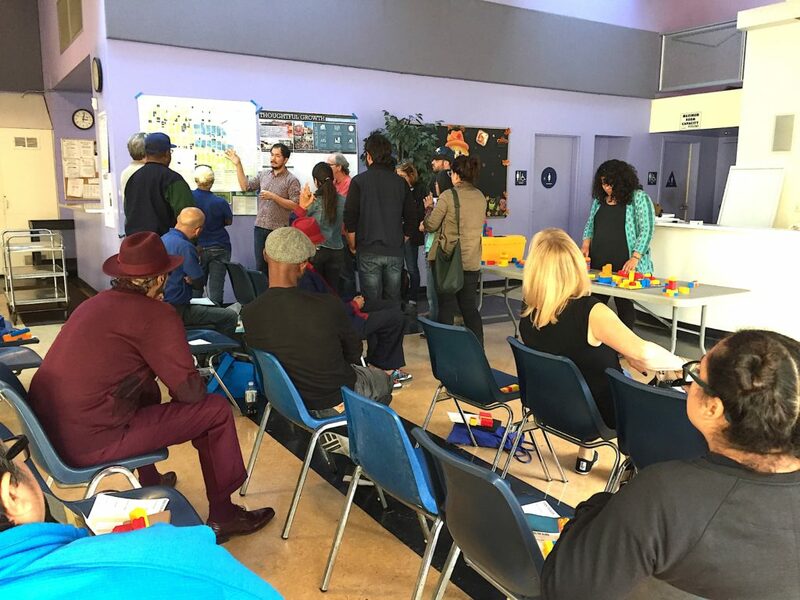 The artists will integrate exhibition, public conversation, research into financing mechanisms, and organizing to engage the DCP and neighborhood residents about Skid Row Now & 2040 and to collectively enact a city plan that houses and protects all of Skid Row’s low-income and homeless residents. John Malpede is the Artist Director of Los Angeles Poverty Department, which he founded in 1985. He directs, performs, writes and makes multi-event projects. In addition to local productions, LAPD has produced projects around the US, Europe and in South America. In 2004, Malpede’s project RFK in EKY re-created Robert Kennedy’s investigation into Appalachian poverty in a 4-day, 200-mile series of events that brought focus to poverty today. In 2008 as a fellow at MIT, he created the performance and video project Bright Futures in response to the financial crisis. In 2013, received a Doris Duke Performing Artist Award. Malpede and LAPD Associate Director Henriëtte Brouwers are joint recipients of the City of Santa Monica Visual Arts Fellow Award for 2019. Henriëtte Brouwers is a performer, director, teacher and producer, and has been the Associate Director of LAPD since 2000. Prior to joining LAPD, Brouwers directed and performed original theater works in The Netherlands, France, Belgium, Poland and US. Brouwers, directs, co-directs and performs in many LAPD performances. In addition to creating a series of performances based on the legend of La Llorona, she worked with John Malpede on the creation of RFK in EKY, a community-based re-enactment of Robert F. Kennedy’s 1968 trip to investigate poverty in Appalachia. She is featured in artist Bill Viola’s The Passions series. 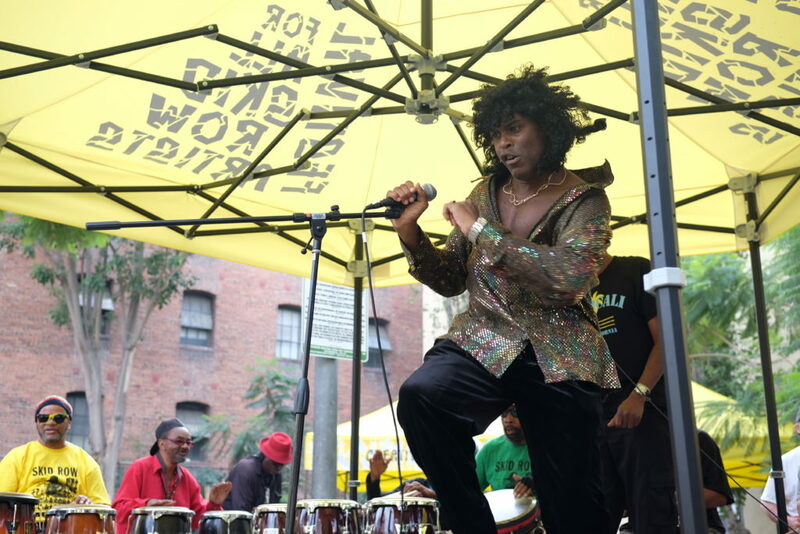 Brouwers produces LAPD’s annual Festival for All Skid Row Artists. 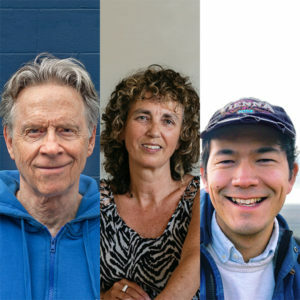 Brouwers and Malpede are co-recipients of the City of Santa Monica’s 2019 Visual Artist Fellowship. Rosten Woo is an artist, designer, and writer living in Los Angeles. His projects aim to help people understand complex systems, re-orient themselves to places, and participate in group decision-making. He acts as a collaborator and consultant to a variety of grassroots organizations including Little Tokyo Service Center, the Black Workers Center, Los Angeles Alliance for a New Economy, and Esperanza Community Housing Corporation, as well as the city of Los Angeles, and the California State Parks. His work has been exhibited at the Cooper-Hewitt Design Triennial, the Venice Architecture Biennale, and various piers, public housing developments, shopping malls, and parks. He is co-founder and former executive director of the Center for Urban Pedagogy (CUP), winner of the 2016 National Design Award for institutional achievement. His book “Street Value” about race and retail urban development was published by Princeton Architectural Press in 2009. 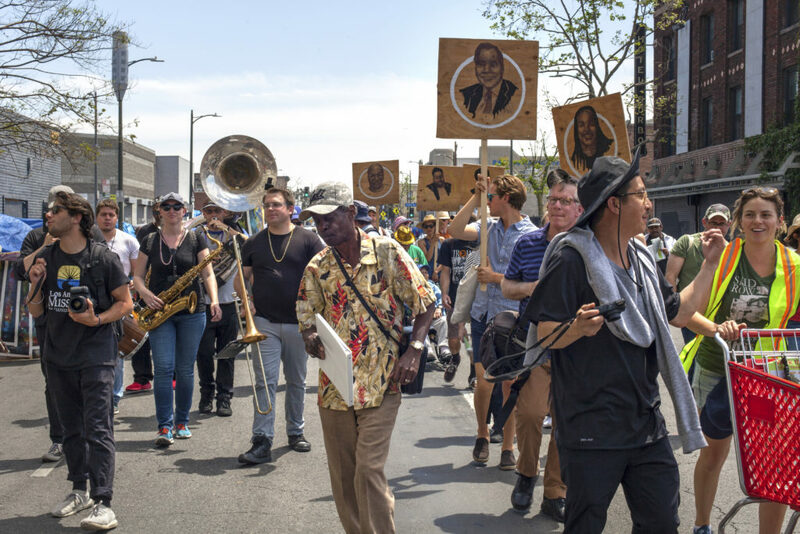 Walk the Talk parade in Skid Row, 2018. Photo by Monica Nouwens © Los Angeles Poverty Department. Walter Fears performing in “What Fuels Development?” at the ARMORY Center for the Arts, Pasadena, 2016. Photo by Monica Nouwens © Los Angeles Poverty Department. 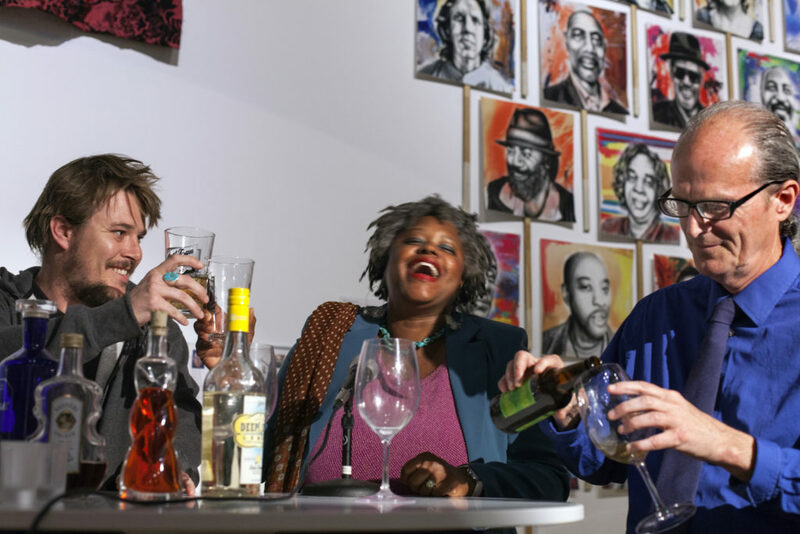 Austin Hines, Suzette Shauw, and Tom Grode performing in “What Fuels Development?” at the ARMORY Center for the Arts, Pasadena, 2016. Photo by Monica Nouwens © Los Angeles Poverty Department. 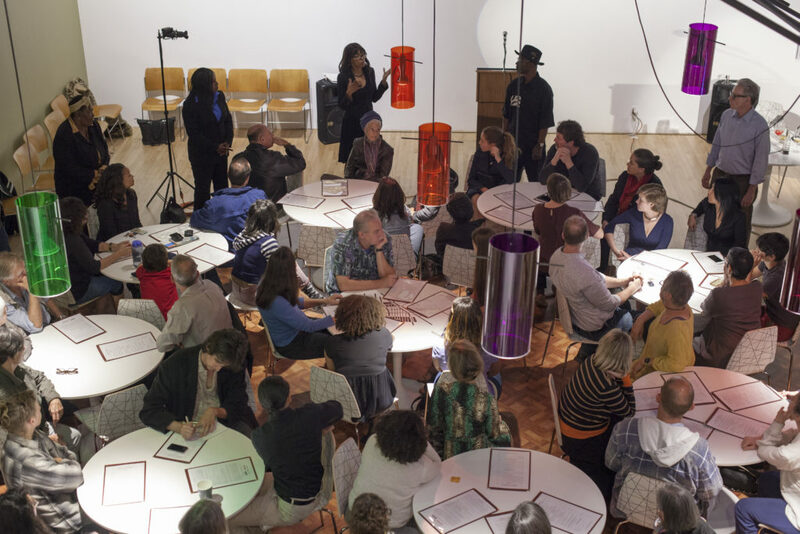 Audience surrounded by LAPD performing in “What Fuels Development?” at the ARMORY Center for the Arts in Pasadena, 2016. Photo by Monica Nouwens © Los Angeles Poverty Department. 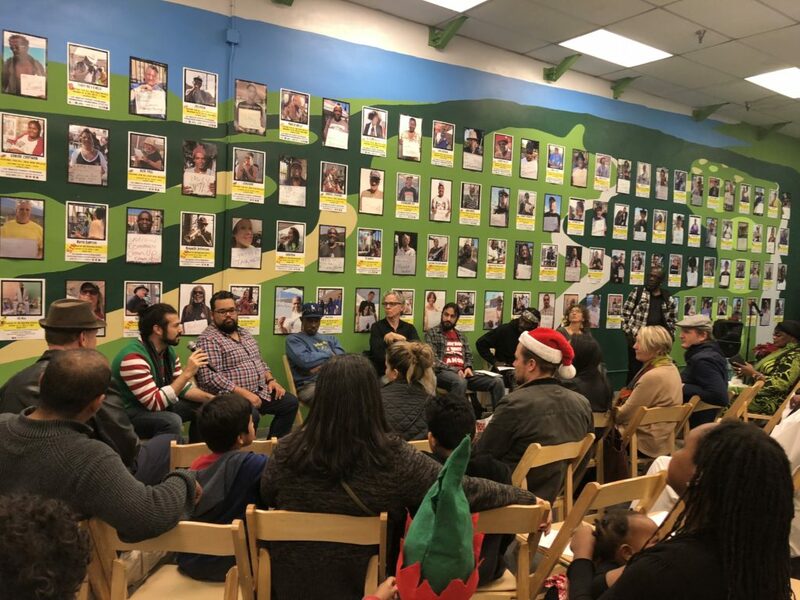 “State Of The ART: Skid Row” panel discussion at the Skid Row History Museum and Archive, 2018. Photo by Clancey Cornell © Los Angeles Poverty Department. “What is Zoning?” workshop by Rosten Woo at the James Wood Community Center in Skid Row, 2017. Photo by Henriëtte Brouwers © Los Angeles Poverty Department. 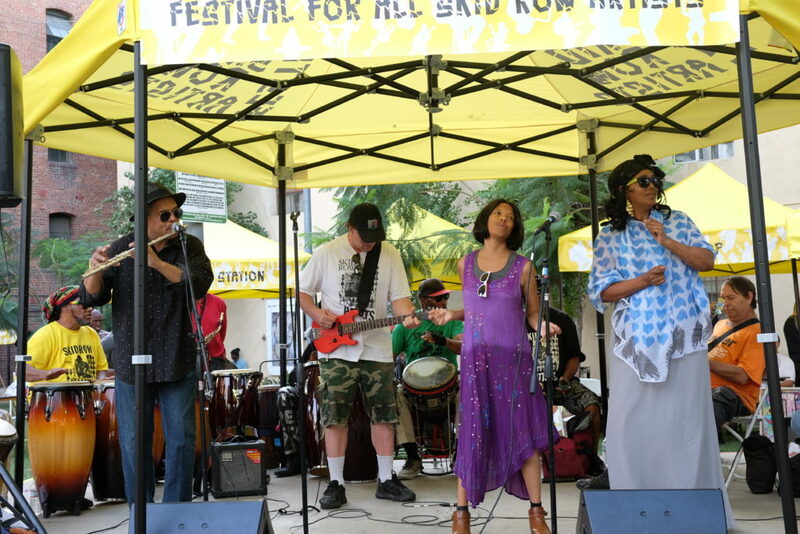 Skid Row artists performing a tribute to Franc’s Melting Pot at Los Angeles Poverty Department’s Festival for All Skid Row Artists in San Julian Park, 2018. Photo by Reva Santo © Los Angeles Poverty Department. Ricky Jammz performs at Los Angeles Poverty Department’s Festival for All Skid Row Artists in San Julian Park, 2018. Photo by Reva Santo © Los Angeles Poverty Department. 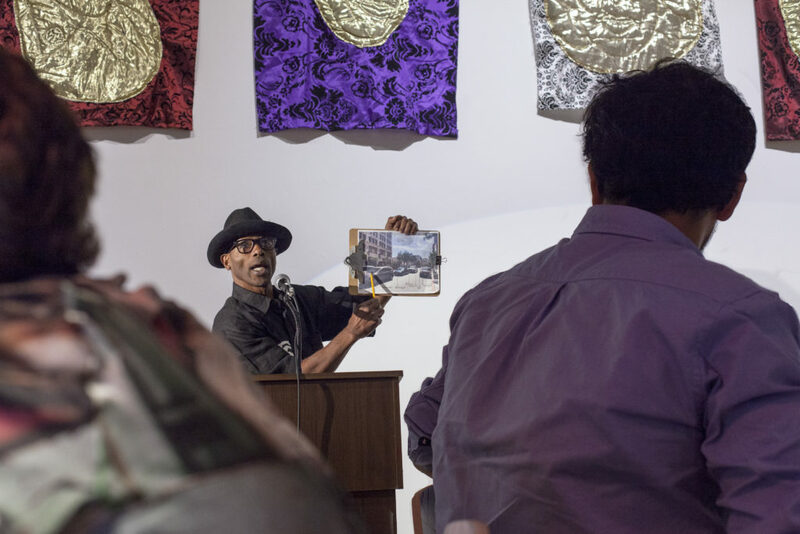 Larry Swanson performs at Los Angeles Poverty Department’s “The Back 9” exhibition at the Skid Row History Museum and Archive, 2017. Photo by Linus Shetu © Los Angeles Poverty Department. 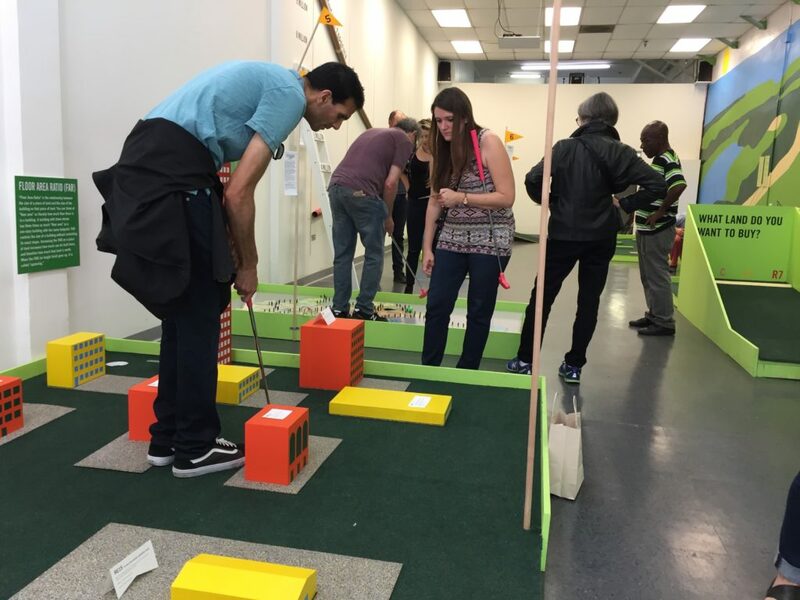 “The Back 9” installation by Rosten Woo at the Skid Row History Museum and Archive, 2017. © Los Angeles Poverty Department.